Willkommen to the infamous Kit Kat Klub, where a garish Master of Ceremonies welcomes the audience and a raucous ensemble including Sally Bowles takes the stage nightly to tantalize the crowd – and to leave their troubles outside. 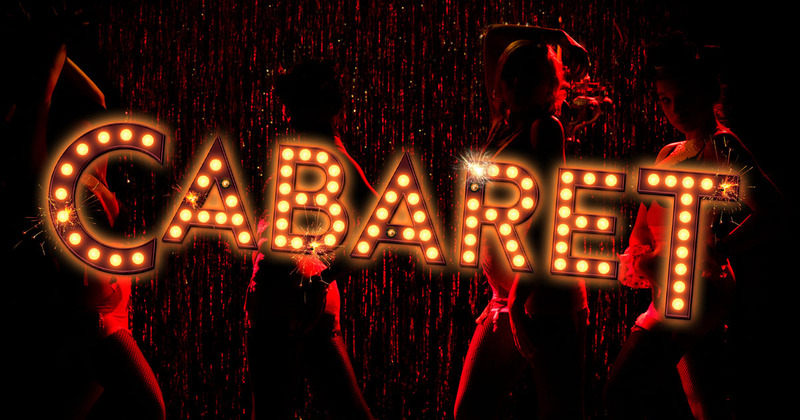 With the Emcee’s bawdy songs as wry commentary, Cabaret explores the dark, heady and tumultuous life of Berlin’s natives and expatriates as Germany slowly yields to the emerging Third Reich. 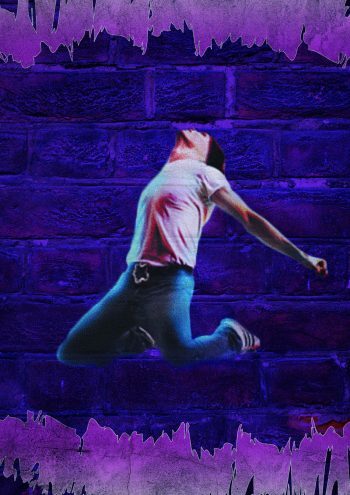 Footloose is the story of Ren McCormack, a teenage boy from Chicago. He and his mother move to the small town of Bomont after his father abandons them. Upon arriving, Ren finds himself at odds with most of the town, including the Reverend Bomont. The Reverend has convinced the town to outlaw dancing, which Ren finds unbelievable. With the help of the Ariel (the Reverend’s daughter) and Willard (a country hick who becomes his best friend), Ren convinces the Reverend to let the teenagers dance, and in the process helps the town to heal from a tragedy that affected them all. 12 (Friday) 8:00 pm - 28 (Sunday) 10:00 pm EST. 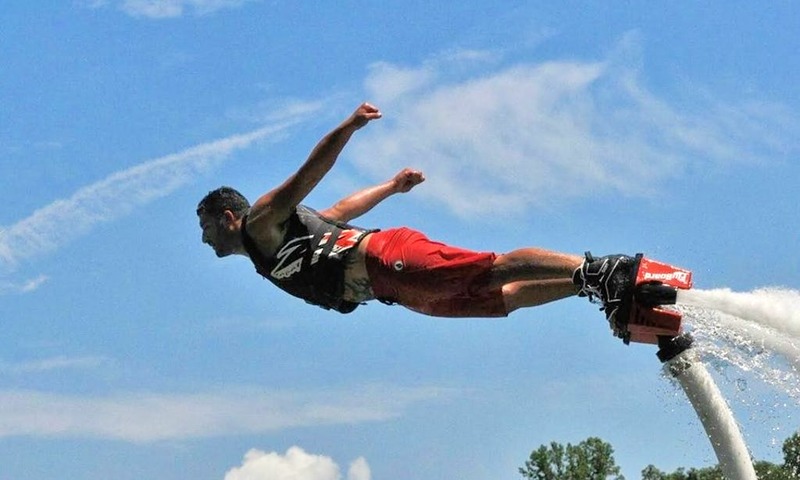 Professional fly boarders will dazzle the audience with their entertaining and acrobatic stunts! Instructors will train adventurous guests who want to try the fly board. Professional fly boarders will dazzle the audience with their entertaining and acrobatic stunts! Instructors will train adventurous guests who want to try the fly board. (Friday) 6:00 pm - 8:00 pm EST. 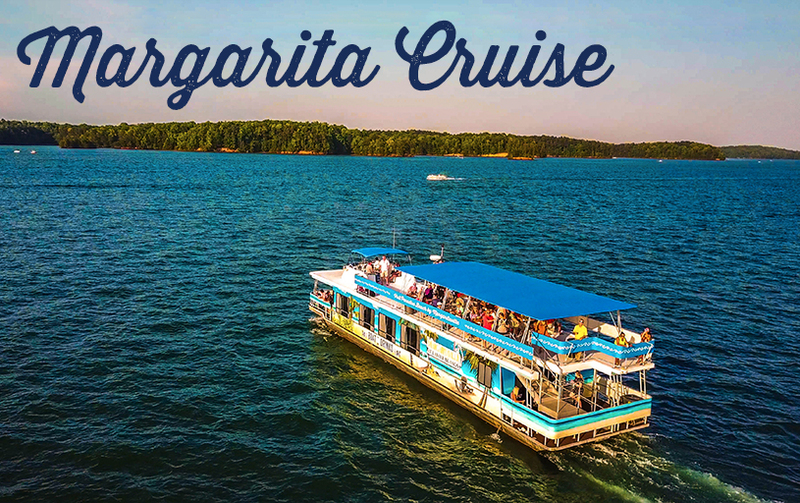 Margarita Cruise Harbor Landing This cruise will include two drink tickets for a variety of margaritas and light appetizers including the perfect pairing with margaritas - chips and salsa! This cruise will include two drink tickets for a variety of margaritas and light appetizers including the perfect pairing with margaritas – chips and salsa! Cruises will depart from Harbor Landing. Limited availability, advance reservations are recommended. Cruises available for ages 21 and over. (Saturday) 5:00 pm - 8:00 pm EST. 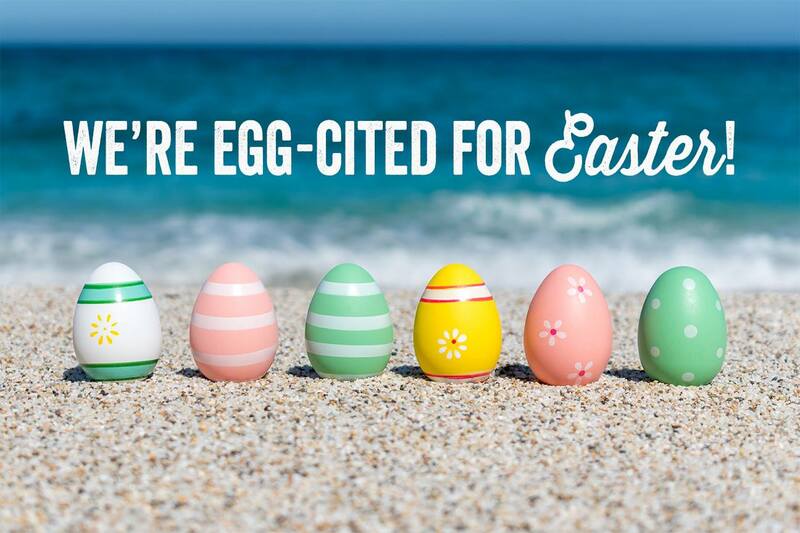 Margaritaville at Lanier Islands is joining in on the Easter fun this year! Come join us for an evening Egg Hunt on Paradise Beach, your favorite Easter movie Hop on the big screen, and so much more! If you’re lucky you may find the golden egg with a season pass or two or even run into the Easter bunny and Syd the Parrott. Come by boat (no dock fees) or by car. Come for the day or stay for the weekend! We have fun planned for everyone! (Saturday) 5:00 pm - 6:00 pm EST. Get the party started at 7 p.m. to 10 pm.! Fireworks begin at 10:00 pm. (Saturday) 7:00 pm - 10:00 pm EST. 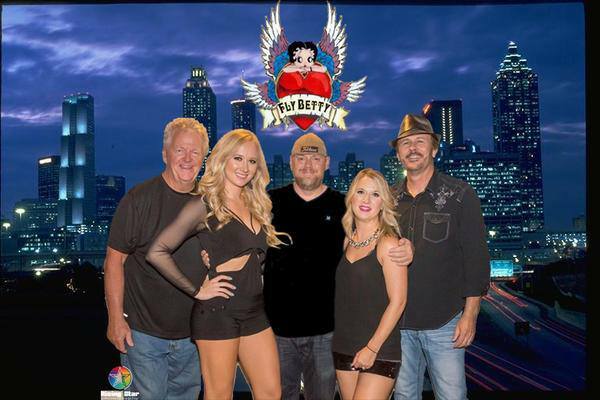 Rock out to the Fly Betty band while enjoying our Full Moon Party! Be sure to stay until 10:00 pm for a fireworks show! Join us as Free Chapel hosts their annual Easter Sunrise Service on Paradise Beach on Sunday, April 21st at 6:30 am. Bring your friends, family and a blanket for a time of celebration on the lake! (Sunday) 6:30 am - 8:30 am EST. There’s no better place to raise a glass (or two) than on a brunch cruise aboard one of our redesigned excursion yachts. 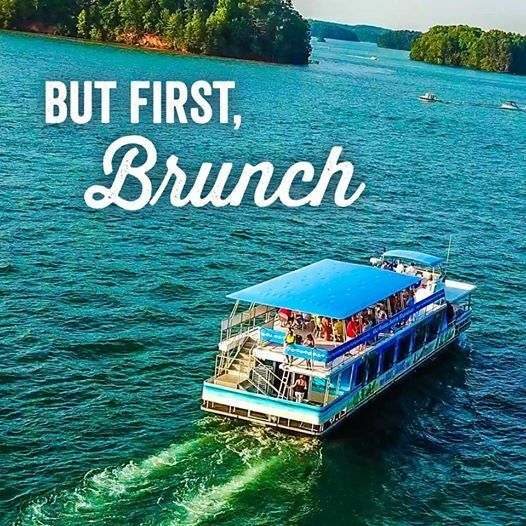 Departing from Harbor Landing, the voyage around Lake Lanier is a feast for the senses, with incredible views of the lake and nature, and specially selected food and drink pairings!Our Brunch Cruises depart every Sunday at 11 AM for a two-hour tour around beautiful Lake Sidney Lanier.Click here to purchase tickets. (Sunday) 11:00 am - 1:00 pm EST. BSA Troop 228 and the City of Flowery Branch proudly presents the Flowery Branch Spring Festival. 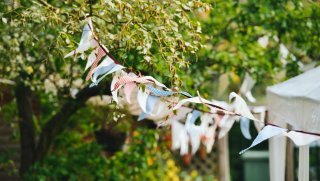 Come join us for food, fun, children’s games and live entertainment. This is a fundraising event for Boy Scout Troop 228. Applications can be found on our website. 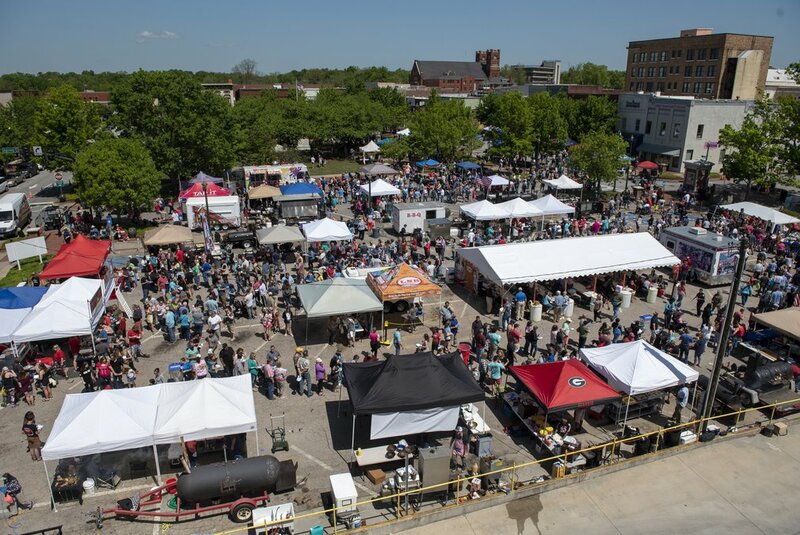 The Gainesville Spring Chicken Festival will be happening April 27, 2019. NEW LOCATION! 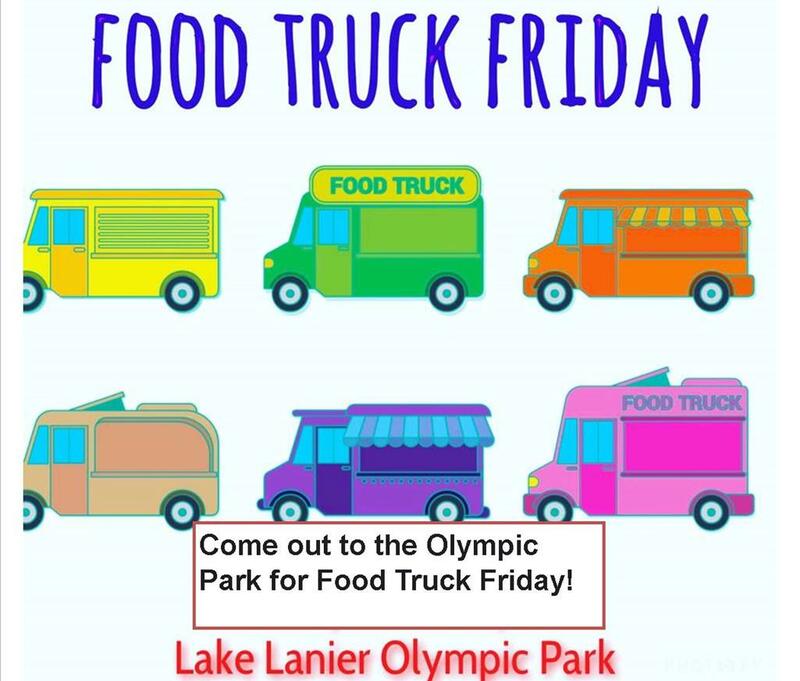 Join them at Longwood Park on Lake Lanier for the same chicken-packed afternoon including Georgia’s Official Chicken Cook-Off, live music, entertainment, and an art market. The event lasts from 11 a.m. until the cook-off winner is announced at 4 p.m. Click here for more event details. Follow them on Facebook at http://www.facebook.com/SpringChickenFestival. (Saturday) 11:00 am - 7:00 pm EST. 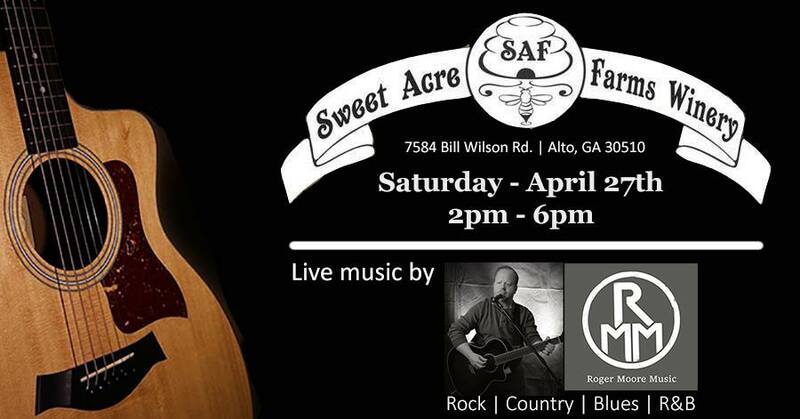 Join me at Sweet Acre Farms Winery for a relaxed afternoon of great wine and music. An absolutely beautiful place to spend a spring afternoon. See you there! (Saturday) 2:00 pm - 6:00 pm EST. 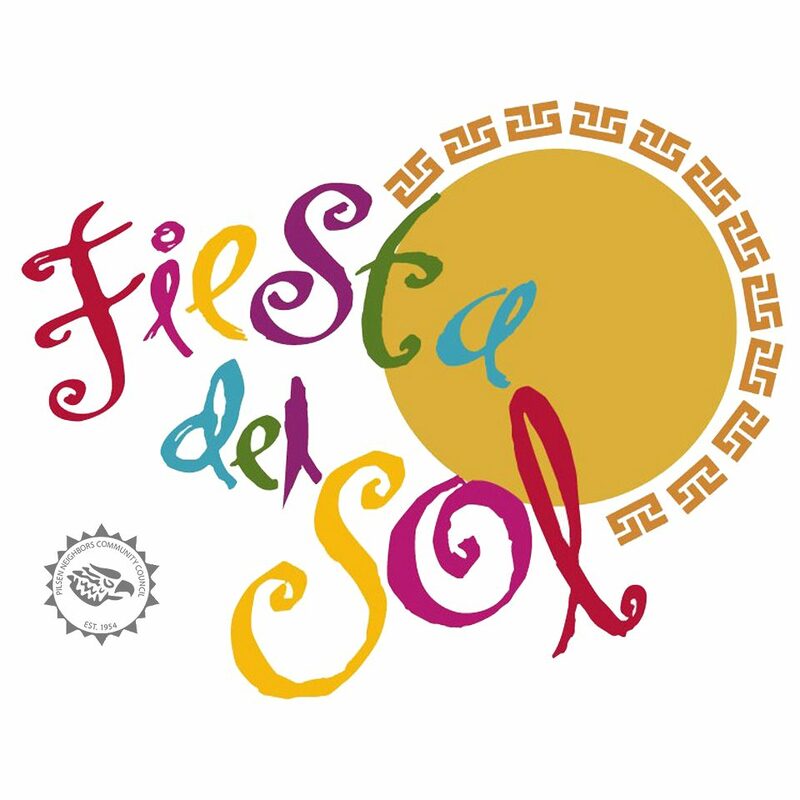 Fiesta del Sol is a celebration of Hispanic Music, Food and Culture! Top Recording Artists, Cultural Performances, Authentic Mexican Food, Vendor and Sponsor booths will all be featured on the beautiful beach at Margaritaville. (Sunday) 12:00 pm - 7:00 pm EST. 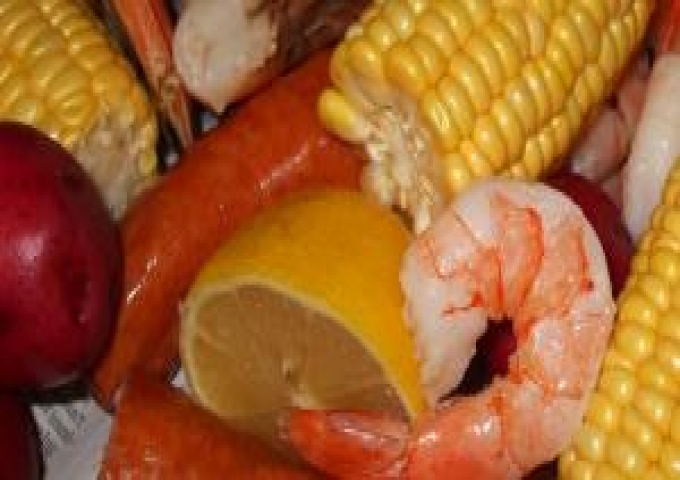 Low Country Boil Come to LandShark Landing on select nights for our Low Country Boil! 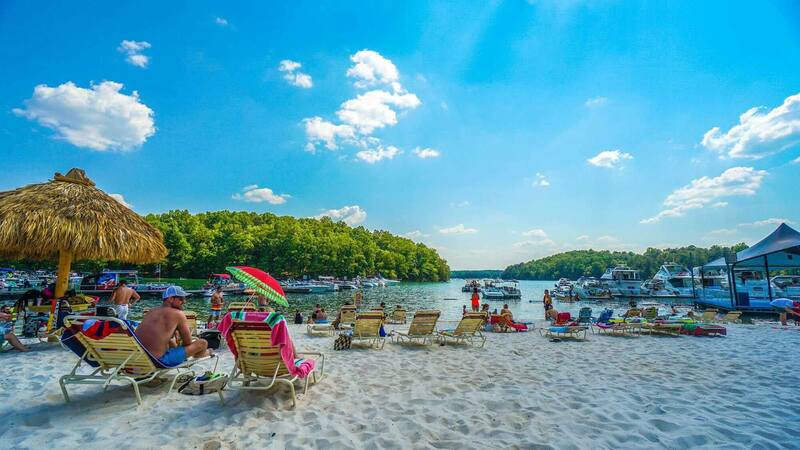 Bring your friends, bring the family and enjoy life on the lake at LandShark! Come to LandShark Landing on select nights for our Low Country Boil! Bring your friends, bring the family and enjoy life on the lake at LandShark! 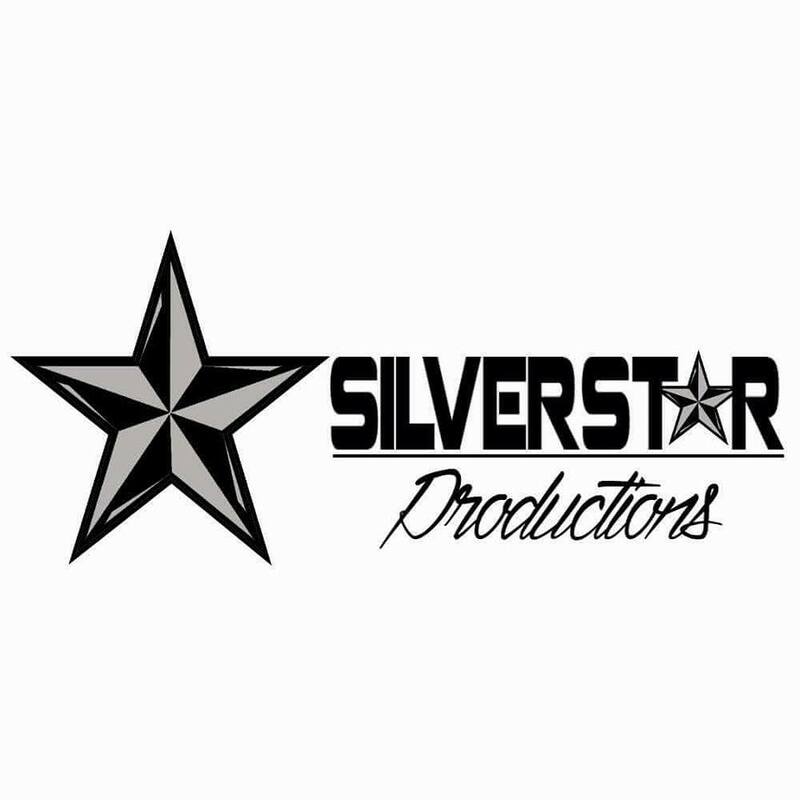 Performing at LandShark Bar & Grill from 7:00 pm – 10:00 pm. (Friday) 7:00 pm - 10:00 pm EST. 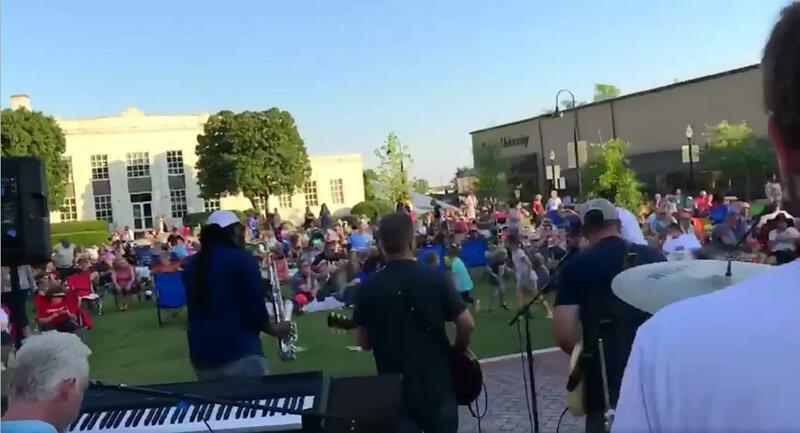 Main Street Gainesville offers free entertainment at Roosevelt Square on the first Friday of each month, from May through September. Set up your chairs/blankets on the lawn, then grab a bite and a beverage downtown before the show starts! Roosevelt Square the park located behind the historic Gainesville City Hall, 117 Jesse Jewell Pkwy. Free parking is available at the city’s 301 Main St. deck or the Hall County Parking Facility. 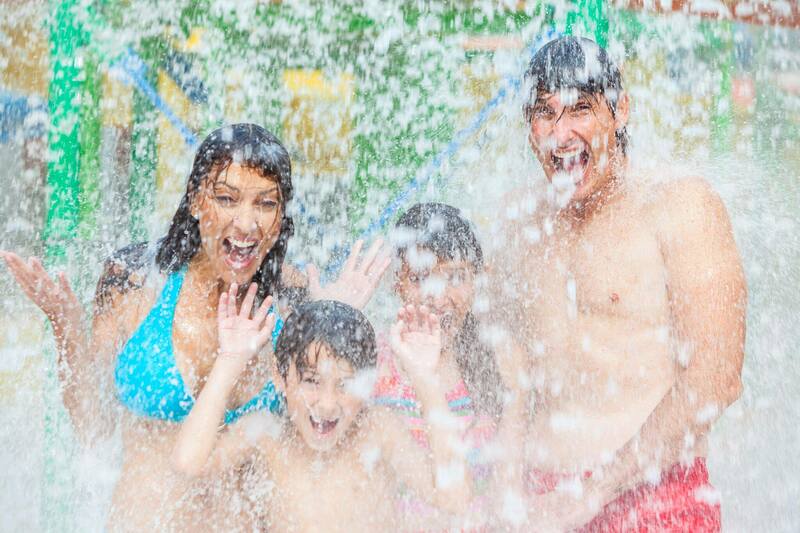 A lakeside adventure with fun and exciting rides at all levels on the thrill scale, The Water Park at Lanier Islands has something for everyone, from toddlers to teens and adults. 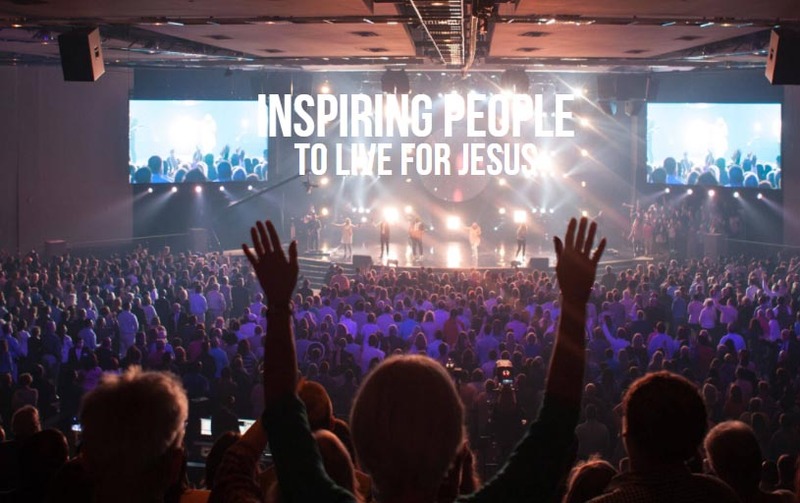 If you love excitement, this is the place for you! Season passes are on sale until April 30th – get them now before the park opens here. A lakeside adventure with fun and exciting rides at all levels on the thrill scale, The Water Park at Lanier Islands has something for everyone, from toddlers to teens and adults. If you love excitement, this is the place for you! Slide down the Black Out in total darkness, race your best pal on dual mats, challenge yourself to heart-pounding drops and breathtaking vertical plummets or fly across the lake on a zip line. Try them all and then replay your favorites! May 4 (Saturday) 10:00 am - September 29 (Sunday) 9:00 pm est. 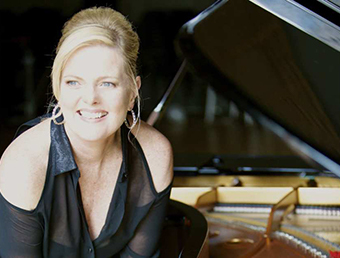 Performing on the LandShark Landing Stage from 2:00 pm – 6:00 pm. The first Saturday in May is the traditional running of The Kentucky Derby…the most exciting 2 minutes in sports!! Come out to the Buford Community Center Amphitheater, grab a mint julep to sip on and watch the running of The Derby on our jumbo screen. 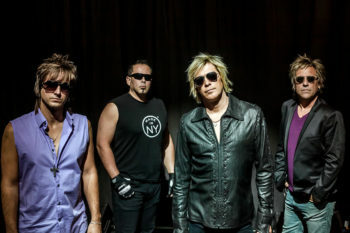 After we celebrate the Derby winner, get ready for a great night of music with Slippery When Wet: The Ultimate Bon Jovi Tribute!! Gates open at 5 PM, Kentucky Derby at 6:30 PM, Concert 7:30 PM. Concessions will be available, no outside food & beverage permitted. (Saturday) 5:00 pm - 7:00 pm est. 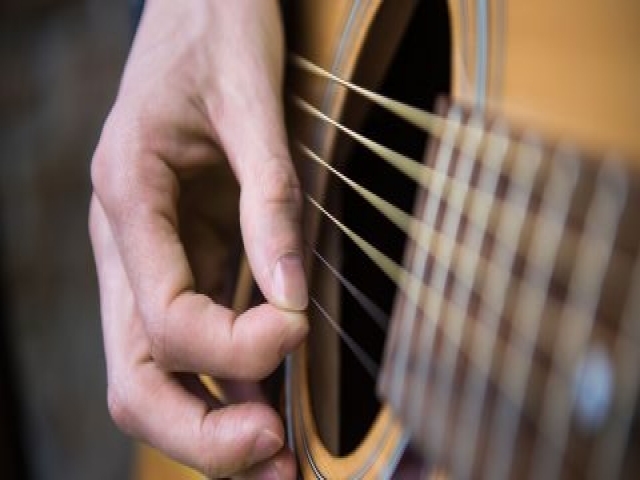 Performing on the LandShark Landing Stage from 7:00 pm – 10:00 pm. For more information on Josiah and the Greater Good, click here. Start your year off right the first day of the year. You’ve trained all season, spread your wings now and sail for the fun of it! 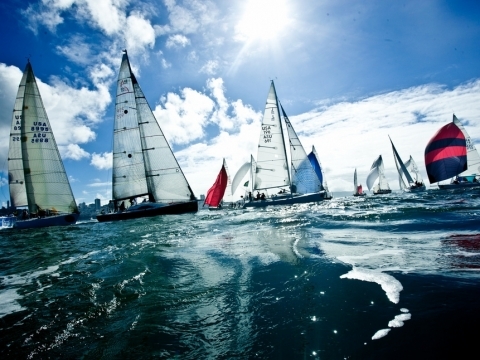 Life should be about memories, not things and a sailing experience lasts a lifetime. Treat yourself and your loved one to an opportunity few others ever have. Sit back and relax. A. SUNSET CRUISES – Light snacks and bottled water are provided. May 5 (Sunday) 1:00 pm - November 9 (Saturday) 9:00 pm EST. 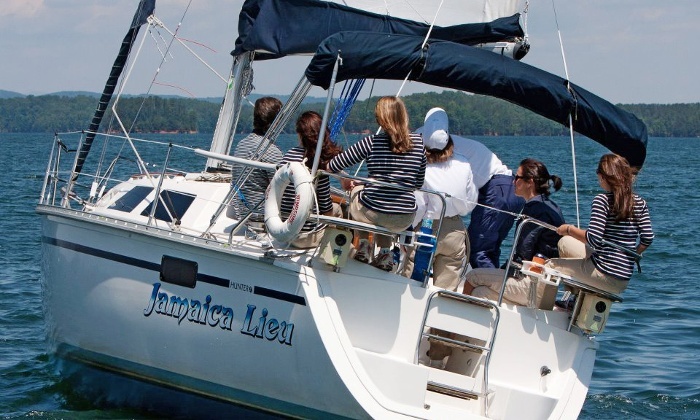 Recreational sailing outings are non-instructional fun trips designed to provide a variety of sailing experiences to outdoor enthusiasts. 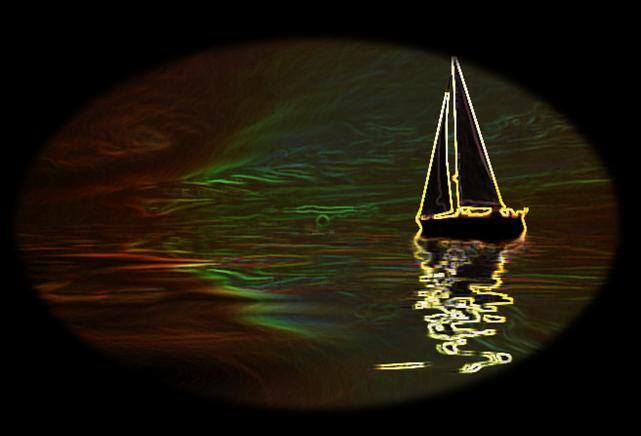 Anyone can take mom to dinner for Mother’s Day, but only the special ones get to sail! Bring your own brown bag lunch or dinner and we’ll provide the adventure and bottled waters! (Sunday) 5:00 pm - 8:00 pm EST. John Mueller’s “Winter Dance Party”® is the official live and authentic re-creation of Buddy Holly, Ritchie Valens and the Big Bopper’s final tour and the only show endorsed by the Holly, Valens, and Richardson estates. 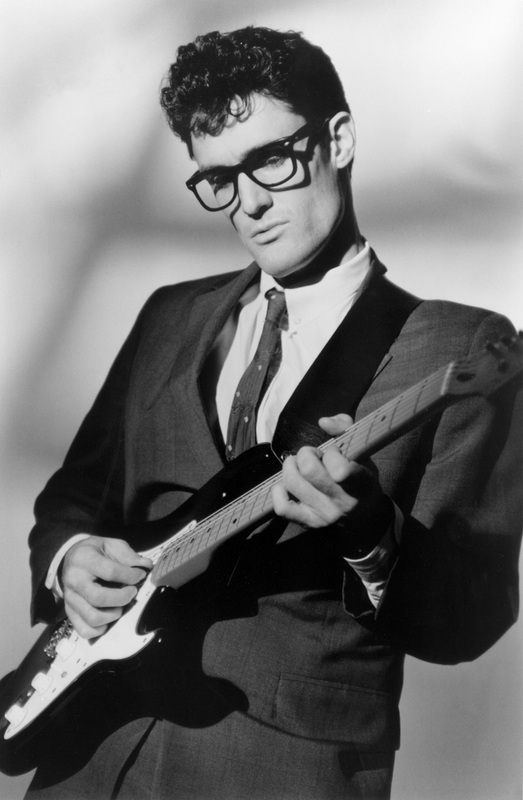 Each live concert performance includes over two hours of unbridled, high voltage entertainment featuring all the hit songs of the 50’s era: That’ll Be The Day, Peggy Sue, Oh, Boy, Rave on, La Bamba, Chantilly Lace, and many, many more. 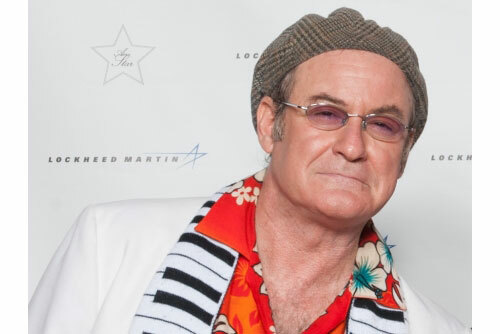 John Mueller, the critically acclaimed former star of the U.S. touring version of the London/Broadway hit musical “Buddy..the Buddy Holly Story,” performs as Buddy Holly with Linwood Sasser as the Big Bopper and Ray Anthony as Ritchie Valens. 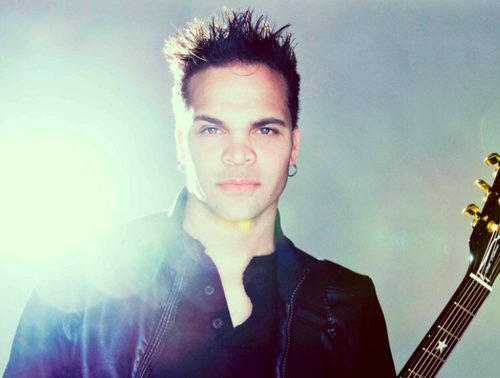 The very authentic and energetic four piece band (guitar, drums, stand up bass and sax) includes Grammy award-winning Mike Acosta on saxophone. (Friday) 8:00 pm - 10:00 pm est. (Saturday) 8:00 pm - 10:00 pm EST. (Saturday) 7:30 pm - 10:00 pm EST. 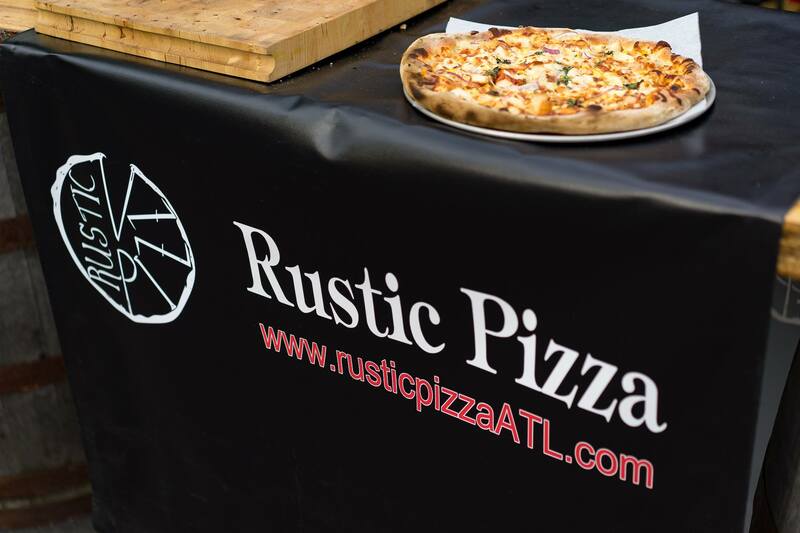 Made to order wood-fired pizza at Left Nut Brewing in Gainesville. (Saturday) 1:00 pm - 8:00 pm EST. 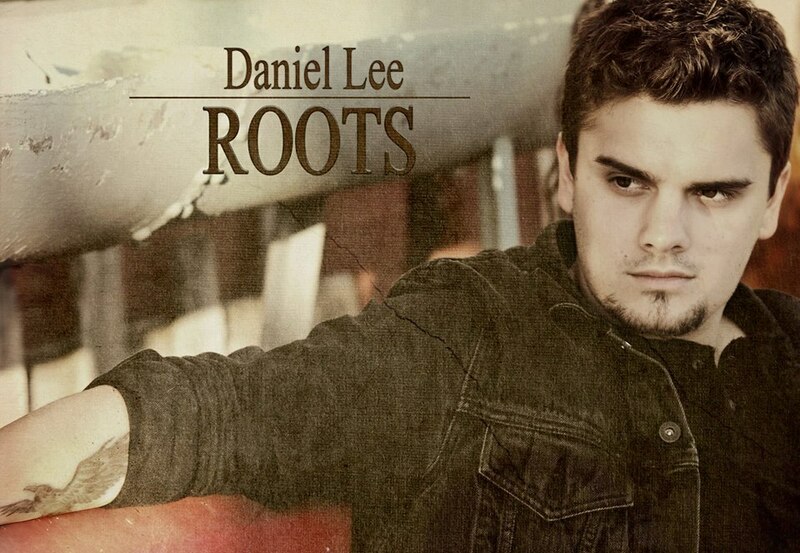 Daniel Lee Band 7:00 PM - 10:00 PM LandShark Landing Stage Margaritaville Performing from 7:00 pm - 10:00 pm on the LandShark Landing Stage. 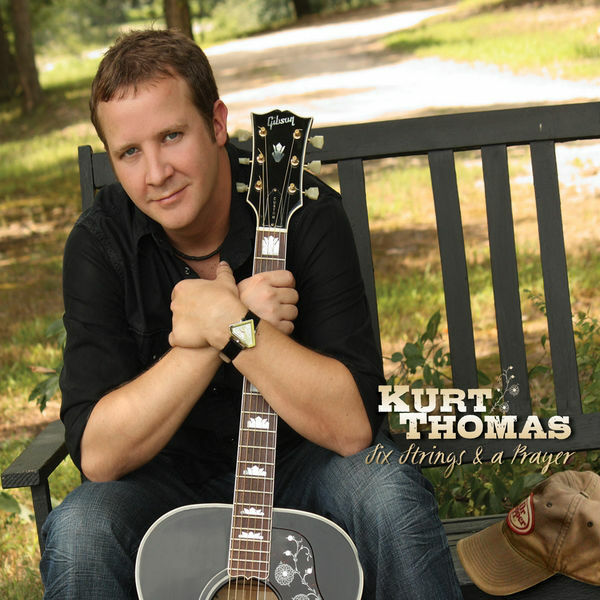 Performing from 7:00 pm – 10:00 pm on the LandShark Landing Stage. (Friday) 6:00 pm - 9:00 pm EST. 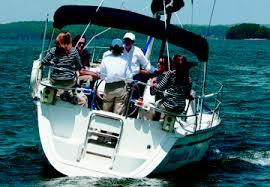 provide bottled water and a pleasant sail to your own secluded anchorage to enjoy your private sunset picnic! (Saturday) 6:00 pm - 9:00 pm EST. 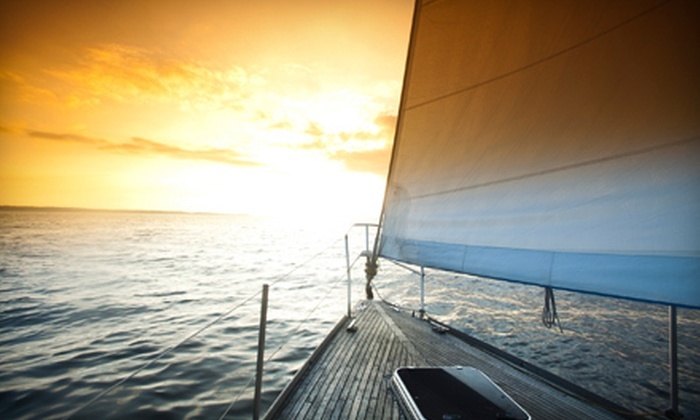 Make dad’s dream come true under sail. Wear a bathing suit under your sailing shorts and bring along a towel to sample the best of both worlds as we sail to a secluded cove for swimming and fun. 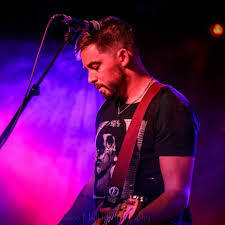 Roger Moore at Left Nut Brewing Co.
(Saturday) 6:30 pm - 9:30 pm EST. tale of “Who Done It”.